Diwali or deepavali and Kali Puja (Puja of Mother Goddess Kali) is a festival of lights and colours in India. This festival witnesses a lot of revelry by people. People usually light mud baked diyas with oil or ghee in houses or decorate houses, offices with electrical lighting. Burning fire crackers is a part of this festival and the skies get lighted with colourful firework. There are a lot of scrumptious foods and sweets prepared or purchased that people eat at home, invite guests and also send as gifts to others. Open fire from diyas and candles can be very dangerous if we are not careful and can cause major burns. Electrical lightings needs special care like not touching with wet hands, not trying to tamper the wiring and keeping them away from fire. It is better to take service of a licensed electrician for large lighting areas. Hands may contain dirt and also powders of fireworks etc that if consumed can be fatal. It is very important to wash hand well before we eat. It is also important to buy sweets and food from regular shops where we are sure of quality. Trying to light fireworks in not prescribed way can cause serious damage to people and property. It is important to keep water buckets filled with water handy, along with burn lotions, icebox and pads in case of any burn. Also for medical emergency it is best to have a medical emergency hospital admission number in phone book so to call as soon as possible in case of any unforeseen event. Cotton clothes are safe than synthetic, chiffon etc clothing when we are near fire. Children are usually restless and have habit of running and playing here and there. It is important to keep them away from open fire and fireworks. Pets may get scared of fire, lights and sound. Their sudden movement can cause any accident, so it is better to keep them in any safe comfortable place. Sound emitting crackers can cause a lot of problems to elderly people, heart patients, elders, infants and newborns. We need to take special care to keep them comfortable and make others aware too. 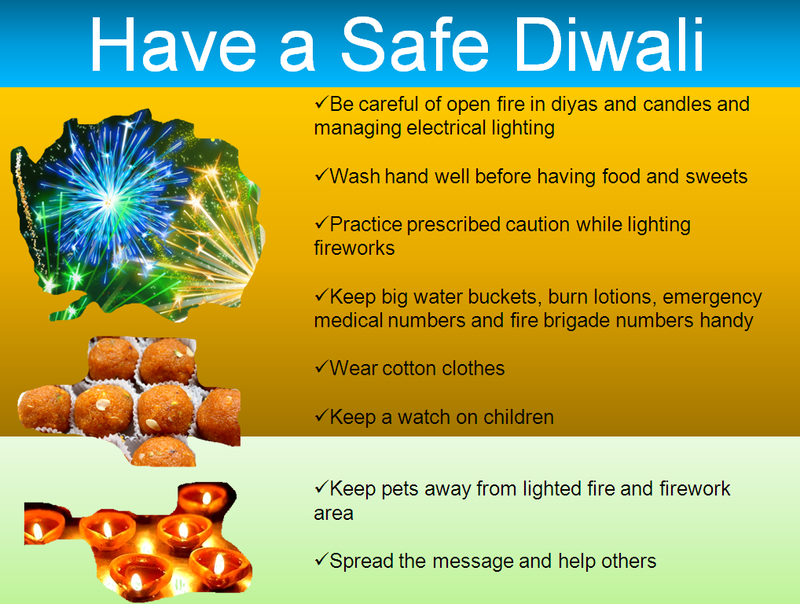 Make people in your communality aware of the safety measures that we should follow in diwali, do that we all have fun, enjoy a happy and healthy diwali. This entry was posted in Health Care and tagged 24 hours medical emergency, deepavali 2014, desunhospital, desunhospital.com, diwali 2014, Emergency Hospital Kolkata, hospital emergency number 8697721124, kalipuja 2014. Bookmark the permalink.